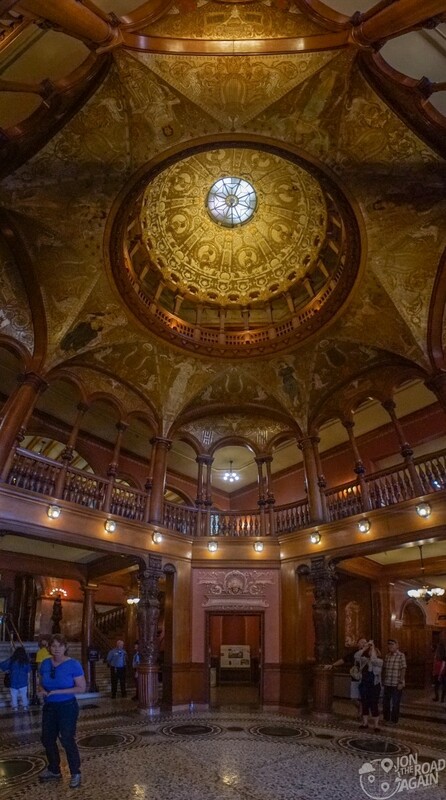 Today we visit the over-the-top grandeur of the Ponce de Leon Hotel. 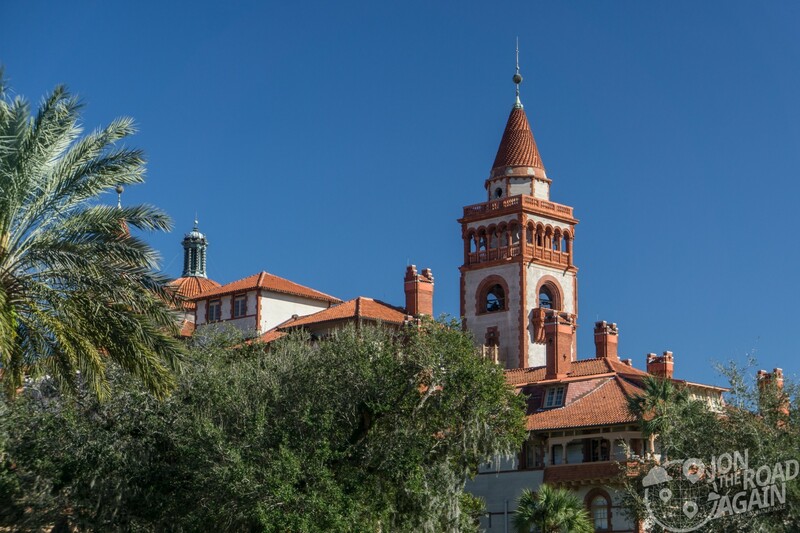 Completed in 1887, the hotel catered to the tune-of-the-century elites and helped to turn Florida into the vacation destination that it is today. 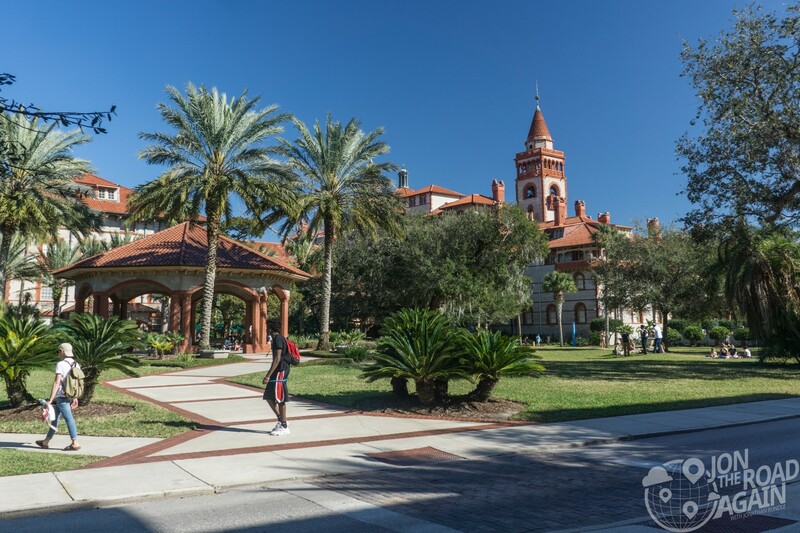 Built by the less well-known founder of Standard Oil, Henry Flagler, the hotel launched the careers of it’s architects John Carrere and Thomas Hastings. The hotel survived the Great Depression and two World Wars, but ultimately ceased operations in 1967. 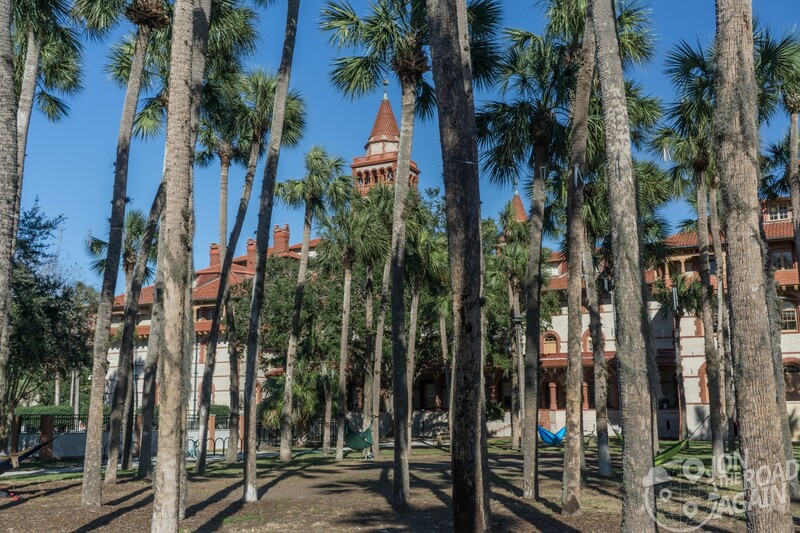 Today it is part of Flagler College. The hotel was an early adopter of electricity. Generators from Flagler’s personal friend Thomas Edison provided the necessary power. At first, guests at the hotel were afraid to use the light switches, so he had staff operate the switches for them. The architectural style is Spanish Colonial Revival, of course referencing the famous history of the area. 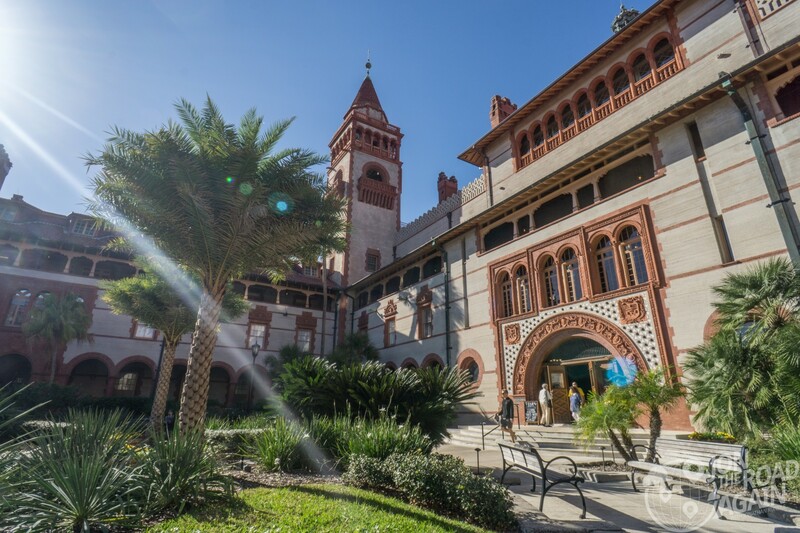 The massive courtyard which would’ve hosted all the finest flappers and dapper dons in it’s heyday was today teeming with Flagler College students and parents. The hotel’s massive twin towers held 8,000 gallons of water each to provide running water for all of its guests. Inside the Grand Lobby, the work of artists and the architects really shines. Interior elements of the hotel are credited to Louis Comfort Tiffany. 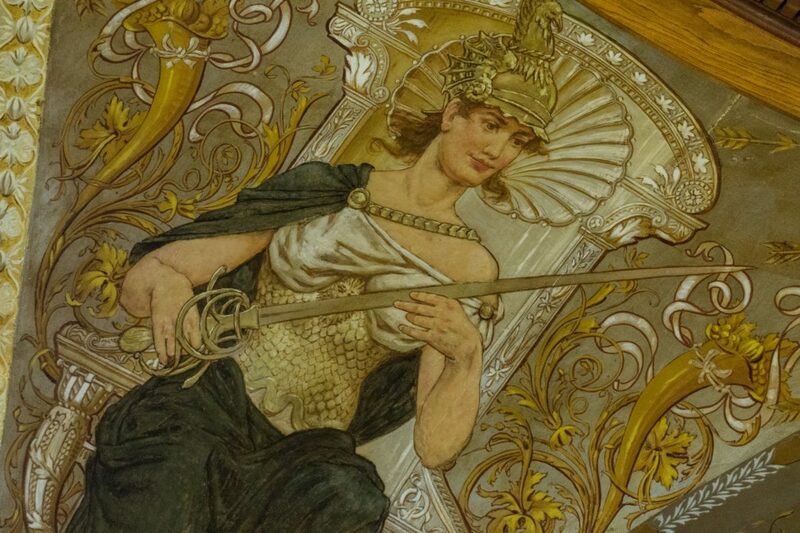 Murals in the rotunda and dining room were completed by the well-known artist George W. Maynard, who a decade later did murals in the Treasures Gallery at the Thomas Jefferson Building of the Library of Congress. Noted Italian artist Virgilio Tojetti prepared the ceiling murals in the Grand Parlor (which I was not able to visit). 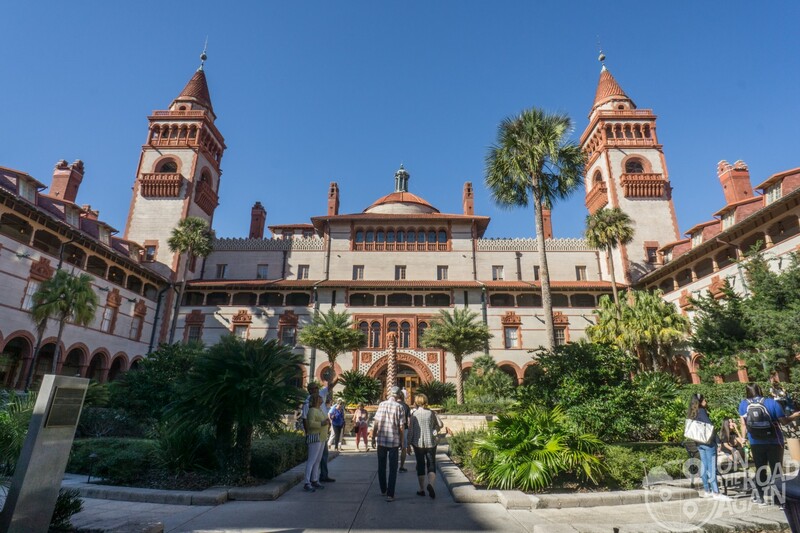 A visit to the Ponce de Leon Hotel means following the footsteps of famous guests Mark Twain, Theodore Roosevelt, and Babe Ruth. 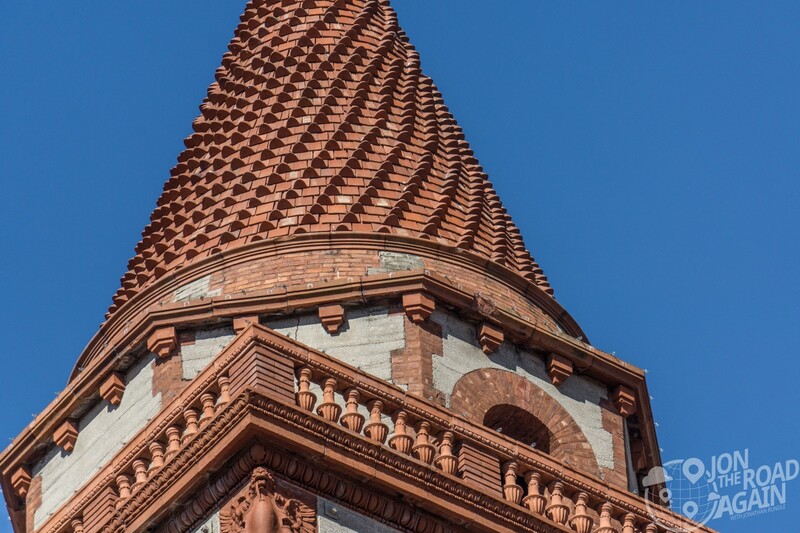 If you have the time and inclination, book a Flagler History tour. These tours usually depart daily at 10am and 2pm from the Grand Lobby. Such a beautiful building .He also built the railway system .Flagler County is named for him.Thanks for the visit! !